How Do You Make A Big Block Camaro Even Better? A 1968 Chevrolet Camaro is pretty cool. Add a 632 cubic inch V8 to it, and it’s even cooler. Now, add a 700 shot of nitrous to your big block Camaro along with other racing goodies, and you’ve got something truly special. Such a marvel already exists, and it’s called, “Cornbread.” Why Cornbread? Well aside from being a great tasting staple in the South, it’s the nickname that the driver’s dad picked up during his twenty to thirty years as a racer. 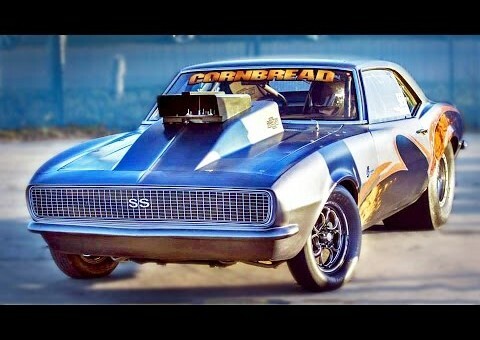 What’s even crazier about the Cornbread Camaro is that this thing is de-tuned. That’s right, it can go even faster. For whatever reason the times aren’t shown in the video, but it’s not hard to imagine the kind of times this souped up pony can lay down. Watch it scream down the strip in the video below, we won’t ruin the outcome of its run at the Redemption No-Prep Race in Texas a couple of days ago.